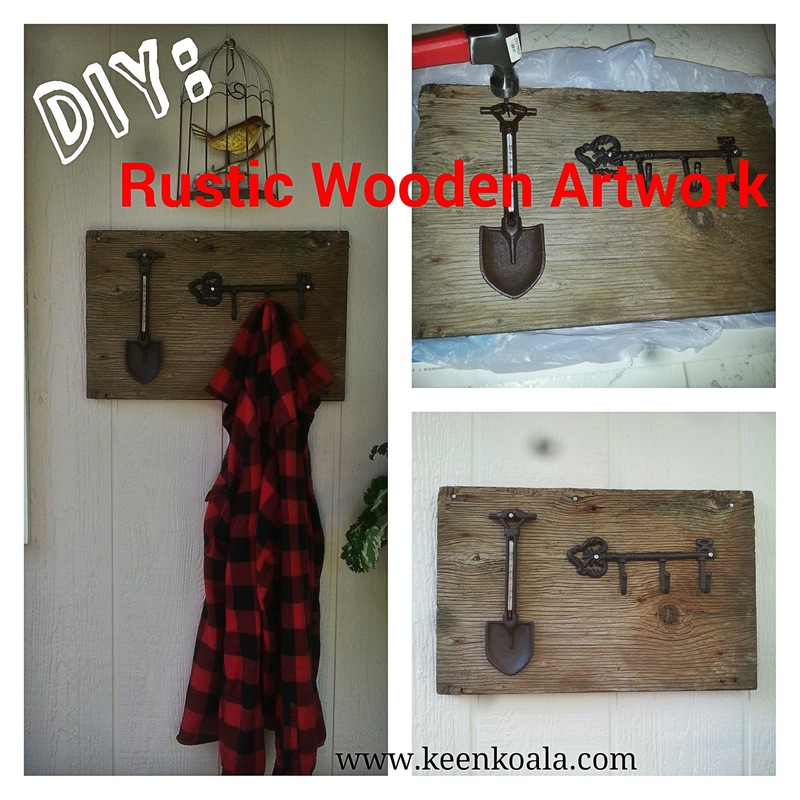 Keen Koala: DIY Rustic Wood Garden Art On The Cheap! DIY Rustic Wood Garden Art On The Cheap! Rustic wooden signs have been dominating the crafting world recently. If you attend craft shows or browse Pinterest, it's impossible to miss these unique works of art. They evoke daydreams of cottage retreats, roaring campfires, and crickets singing at sunset. I had been considering making my own sign for a while, but I didn't have a clue what I would put on it. 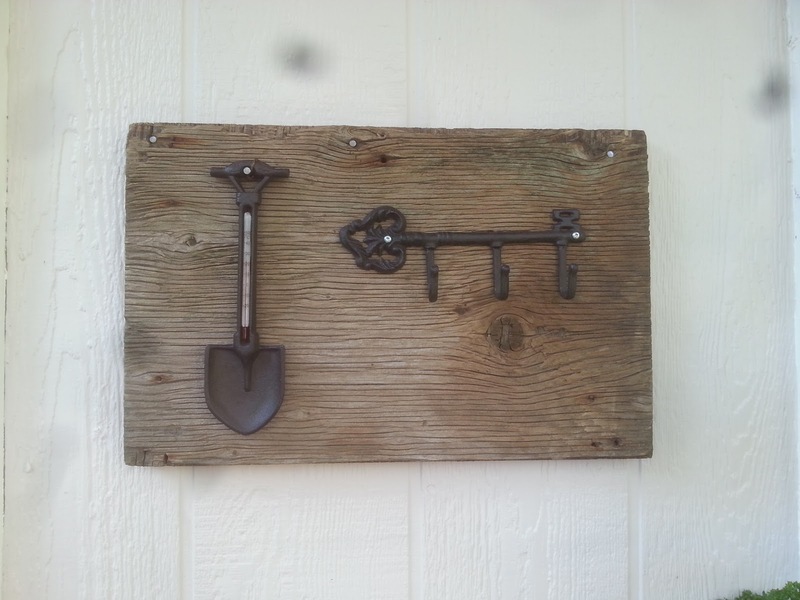 I knew that I wanted to hang it in my gardening area, so it would have to be something with a gardening theme. I randomly came upon these 2 heavy cast metal pieces at my local dollar store for $2.00 a piece! 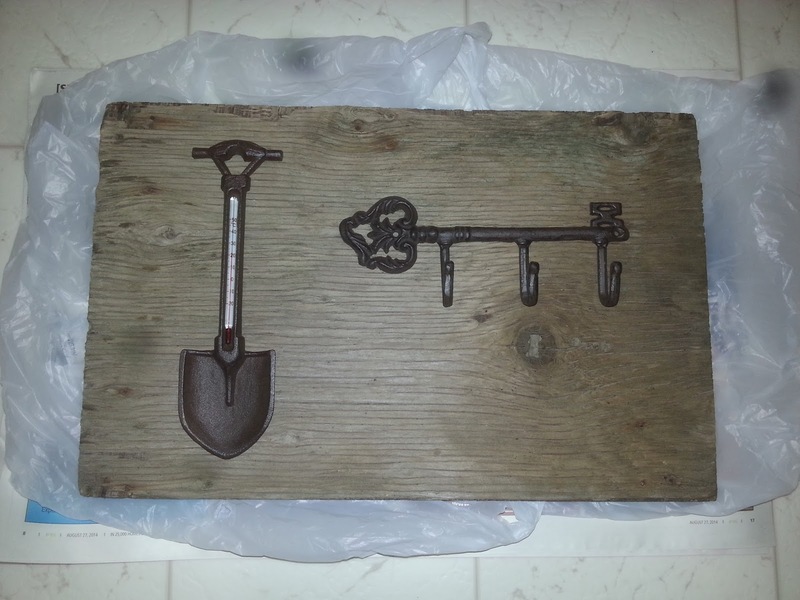 The shovel is a thermometer and the key has 3 hooks for hanging things. They were absolutely perfect for my project. I purchased them without hesitation, and now, I'm kicking myself for not purchasing extras, to make gifts for my friends! So, be sure to check out the gardening and craft sections of your dollar store for some affordable and fun hardware! 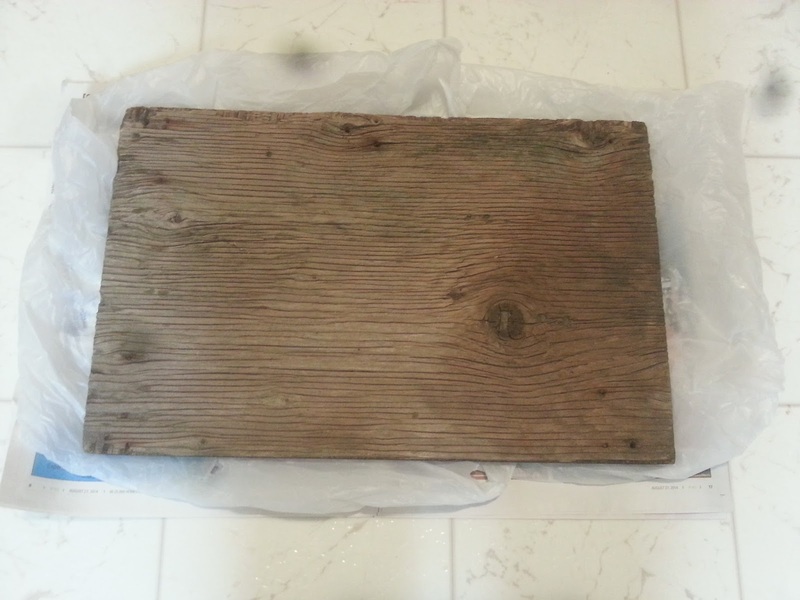 As for my wood, my dad helped me search through piles of old boards at my grandparent's farm until I found a very weathered board in the perfect size. 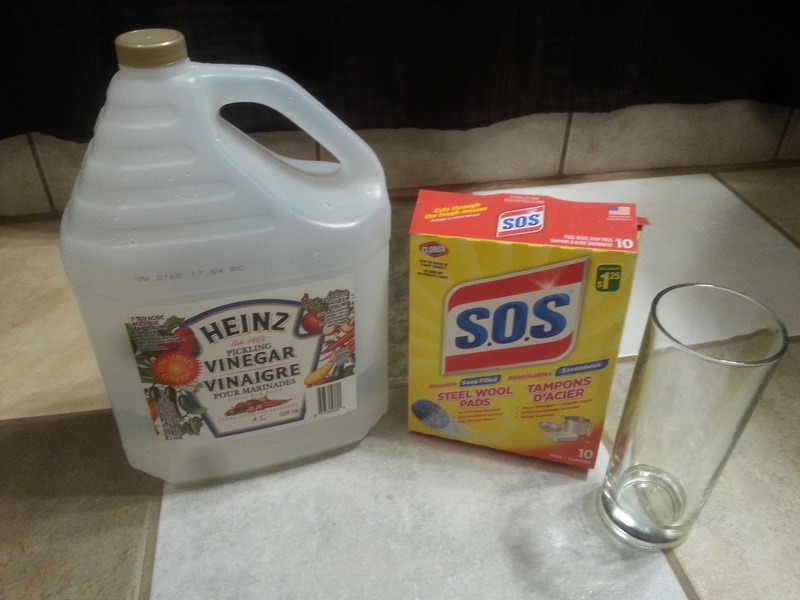 - Pour 1 cup of white vinegar into a glass. - Add 1/2 a pad of steel wool. - Let the steel wool soak in the vinegar for 1-2 hours. - With a paintbrush, paint the wood with your stain. Follow the direction of the grain. Once you have your wood looking the way you would like, it's time to attach your hardware. Lay out the pieces in the position that you like best. 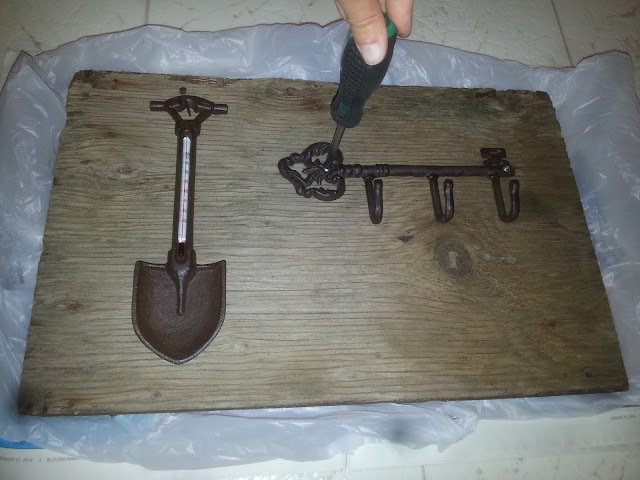 I placed the key a bit higher on the board as there was a pretty knot in the wood that I didn't want to cover up. You can use either screws or nails, or a combination of both to attach the hardware. 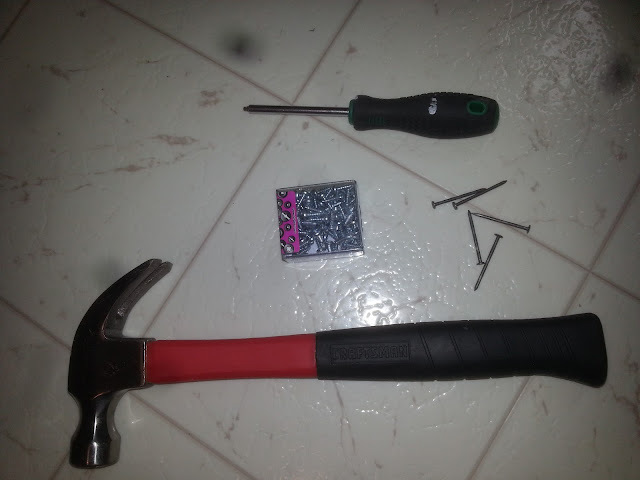 I used screws to attach the key. 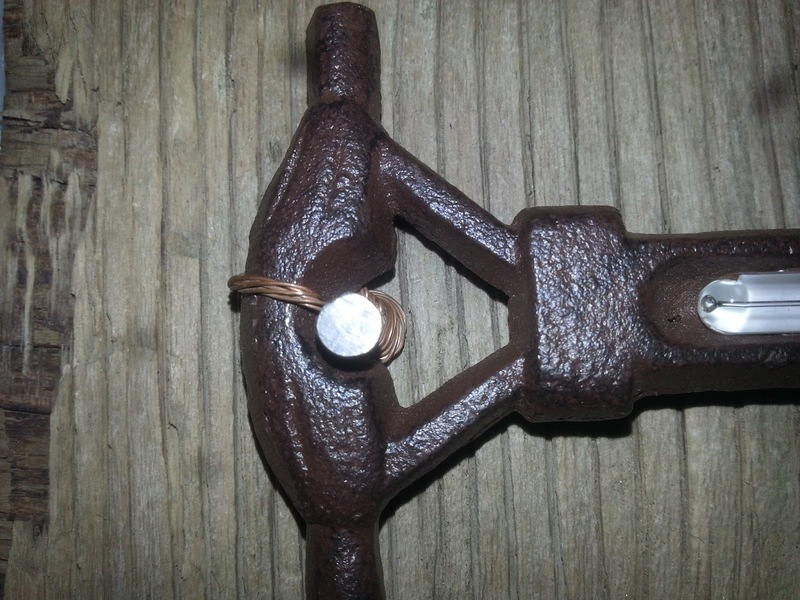 And a nail with the addition of some copper wire to securely attach the shovel. Once you have everything attached, you can hang your artwork! I just hung mine with a few nails across the top, nothing fancy. I think it adds to the rustic charm. 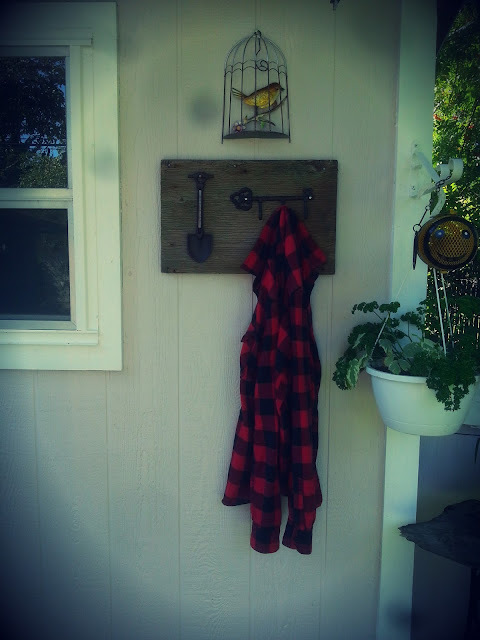 I chose to hang it on the side of my shed in my back yard, as that's where I spend the majority of my time outdoors. 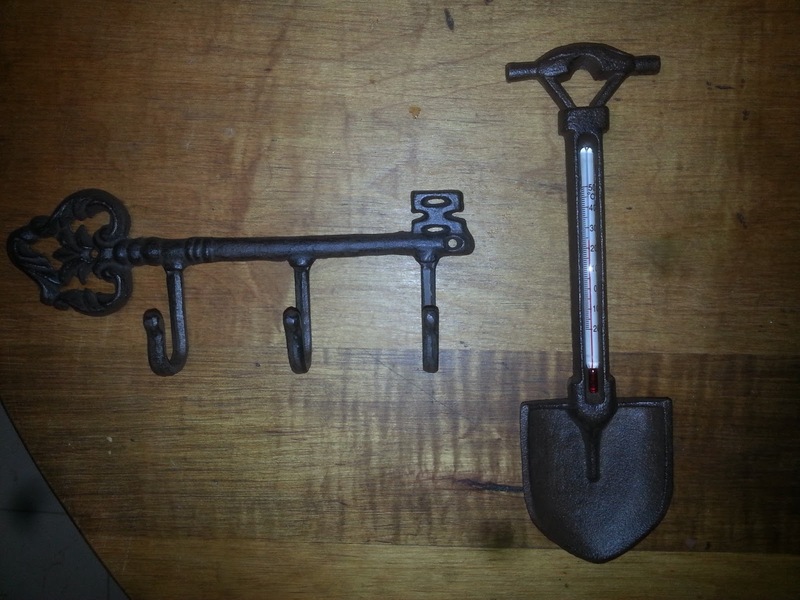 Both the thermometer and hooks will come in handy when I'm gardening! This is truly a functional work of art! I hope you enjoyed this tutorial. Have you ever made a piece of rustic wooden art? Tell me about it, I would love to hear from you! Don't forget to like Keen Koala on Facebook for access to my latest posts, exclusive content and contests. Just click HERE.